In the third installment of our deep dive into the Rolex Sea-Dweller history, we take a look at the ref. 16660. 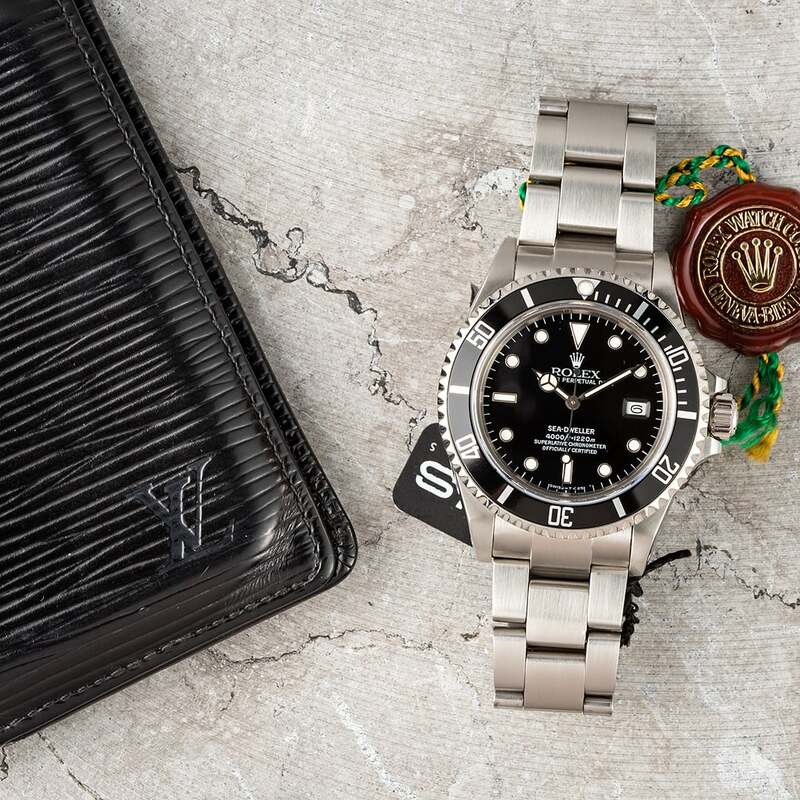 Often nicknamed the “Triple Six” and considered a transitional reference, this Sea-Dweller brought about many changes to Rolex’s extreme diver’s watch. Let’s explore the Sea-Dweller ref. 16660 “Triple Six” in more detail. When the original Deepsea arrived, with a waterproof rating of 12,800ft, it was something of an immediate opinion splitter, with many wondering just who exactly it was supposed to be for. What form of superhuman could possibly be in need of a watch constructed to survive a plunge more than three times deeper than the Sea-Dweller, a model that had always easily been a match for the rigorous world of commercial saturation diving? In truth of course, the answer was no one. It was instead, a continuation of the Rolex spirit. The reason the legendary watchmaker has now entered its second century at the forefront of horology is its constant striving to be better—not just than its competitors, but also better than it was itself yesterday. Rolex made the Deepsea because they were able to make it. And that was seemingly a good enough reason for them. The fact that it doesn’t have the all-encompassing appeal of its diving siblings, or many of the other tool watches in the range, is not particularly important. It is a feat of engineering brilliance and proof that the crown still rules the waves. The Stainless Steel SeaDweller 1665 is the first featured watch in our Sea-Dweller series. The then-new and now vintage Rolex Sea-Dweller ref. 16660 Triple Six boasted plenty of changes. Firstly, its water resistance doubled to 4.000 feet (1,220 meters). As a tool watch positioned for deep sea divers, this was certainly a practical and impressive enhancement. The improved water depth rating was thanks in part to a larger helium escape valve (HEV). A quick refresh, the HEV is the Rolex-patented mechanism that allows watches to properly decompress when resurfacing. That is, the HEV automatically releases built up helium (and other gasses) from the watch. The releasing of the gasses essentially normalizes differences in internal and external pressure, thus preventing the crystal from bursting off or other damage to the watch. The Rolex Sea-Dweller ref. 16660 can go to a depth of 4000 ft. The Rolex ref. 16660 Triple Six was also the first Sea-Dweller with a sapphire crystal protecting the dial. Of course, sapphire crystal is now standard across all Rolex watches, especially prized for its scratch resistance. Like all versions of the Sea-Dweller (up until the most recent version released at Baselworld 2017) the sapphire crystal of the ref. 16660 does not include a Cyclops magnification lens above the date window. Since all other Rolex date models include the Cyclops lens, this is a design detail that sets the Sea-Dweller apart from the rest and is appreciated by many. Also, sitting on top of the ref. 16660 watch was now a unidirectional bezel instead of a bi-directional one. Needless to say, this is much safer for divers since overestimating immersions times is far better than underestimating them. In addition to the above modifications, the Sea-Dweller ref. 16660 also had a new automatic caliber ticking inside. The new model housed Caliber 3035, which replaced the Caliber 1575 of the previous Sea-Dweller ref. 1665. The new Caliber 3035 operated at a higher frequency—28,800 beats per hour rather than 19,800 bph. Moreover, it was also more shock resistant—a much-appreciated feature for a robust dive watch. A super practical upgrade that the Caliber 3035 brought to the Sea-Dweller ref. 16665 was the quickset date feature. This now meant that wearers could set the date quickly, independently of the hour hand. As with many vintage Rolex models, there are several dial variations of the Sea-Dweller ref. 16660. The first batch of the Triple Six models (serial numbers: about 5.9 million to about 8.5 million) featured a matte black dial without surrounds on the circular tritium hour markers. Plus, among these matte black dials, there are two main versions—Mark I and Mark II. Can you guess which dial this Sea-Dweller has? Rolex remedied the situation and offered up a second version of the glossy dial (Mark IV) with no cracking problem and the return of the hyphen. The crown was also slightly elongated and the font slightly altered. It’s worth noting that the once glossy dials are turning matte as they get older. 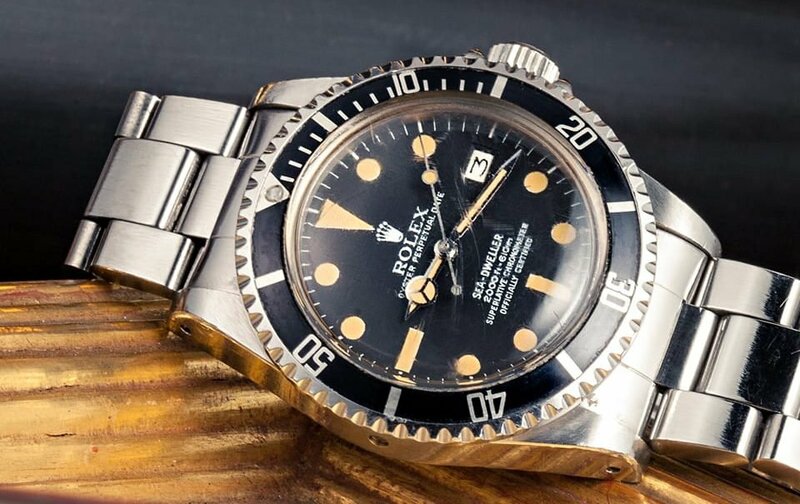 As expected, this is now something that has piqued the interest of vintage Rolex collectors worldwide. There were also COMEX dials of the Sea-Dweller ref. 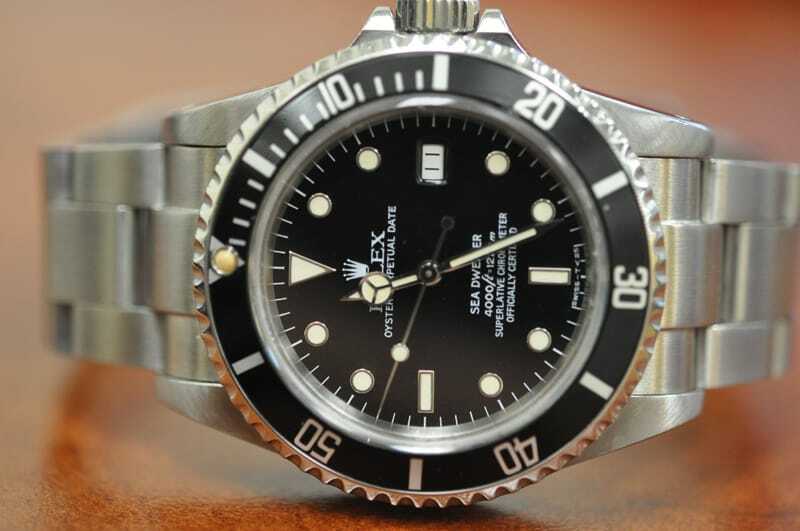 16660 Triple Six, but we will cover these in-depth in another article dedicated to COMEX Rolex Sea-Dweller watches. So stay tuned for that one. What comes after the Sea-Dweller 16660? The transitional Sea-Dweller ref. 16660 Triple Six was in production for a decade where it was eventually replaced by the ref. 16600 in 1988. The Sea-Dweller ref. 16600 will, naturally, be the topic of our next chapter on the Sea-Dweller history, so make sure not to miss that one. What are your thoughts on the Sea-Dweller Triple Six? Are you a fan of the Sea-Dweller model in general? Read the previous installment on the Sea-Dweller 1665 known as the “Great White”.